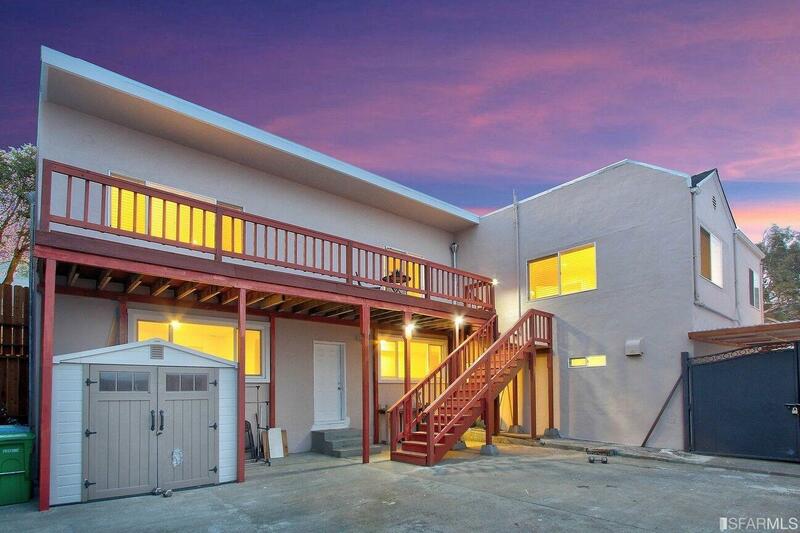 Spacious and Sensational Single Family Home with Amazing SF Bay Views! This fully detached home offers 2,707 SQFT living space & extra-large 3,750 SQFT lot. Main level features 3 bedrooms, 2 baths with a spacious master bedroom suite with gorgeous bay views, bright formal living room with fireplace & fully-equipped chef's kitchen. Lower level features 2 bedrooms, 1bath and large family room. Easy parking, & easy access to public transportation, close to HWY 101 and 280. Steps away from John McLaren Park, ten minutes to downtown San Francisco and 40 minutes to Palo Alto.